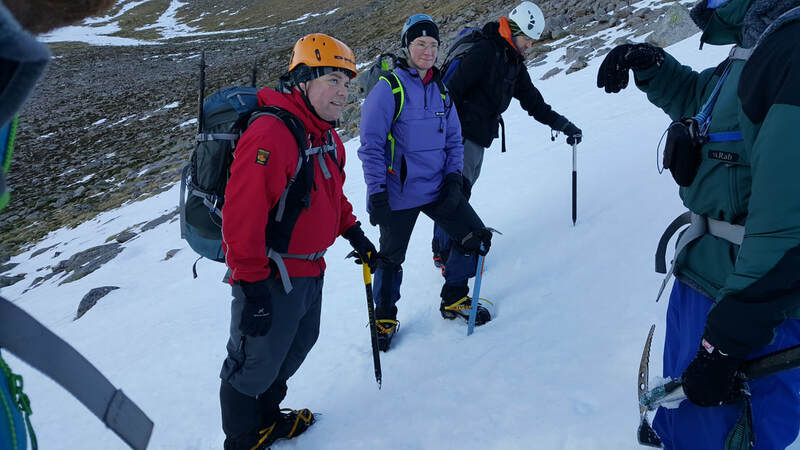 Mountain Aid is a trail blazer in providing FREE safety and skills training to outdoor enthusiasts in Scotland. Our ethos has always been - free, nothing, not a penny. We believe that your enhanced knowledge to keep you safe on the hill should not be dictated by financial circumstances. Although free to attend these courses are always delivered by fully qualified and insured professionals. This is possible due to the generosity of our fundraisers and our course providers in offering us good deals. Participants needs, interests and ability to manage the conditions will also promote how each session is structured and delivered. Our provider will contact you with the assembly point and a list of items you will require on the day of the course. Be aware you need not just warm clothing, but it is essential you have winter grade boots, with a suitably rigid sole to take crampons. If necessary seek advice from specialist retailers such as Tiso, or Cotswold whose staff have the necessary knowledge to advise. Indeed both organisations can offer a hire service which you might find useful. This course is free to attend but we will require a refundable deposit from you. If you fail to turn up Mountain Aid keeps your deposit. Only one free course per person. If you wish to attend a further course you can do so at cost price (i.e. the price that Mountain Aid pays to our provider). Bookings must be made with Mountain Aid and not with our course provider. 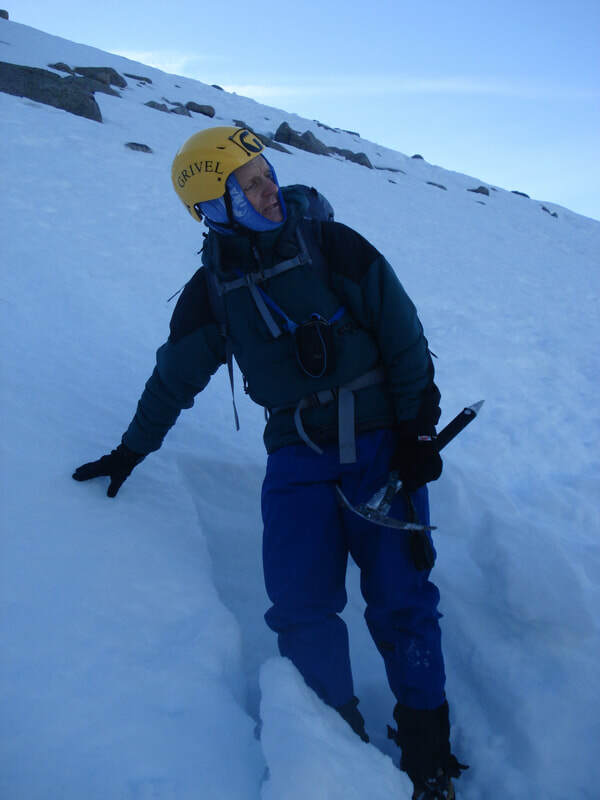 Our course provider is Andy Cloquet MIC of Outdoor Adventure Scotland. Andy is fully qualified and insured to deliver these courses. 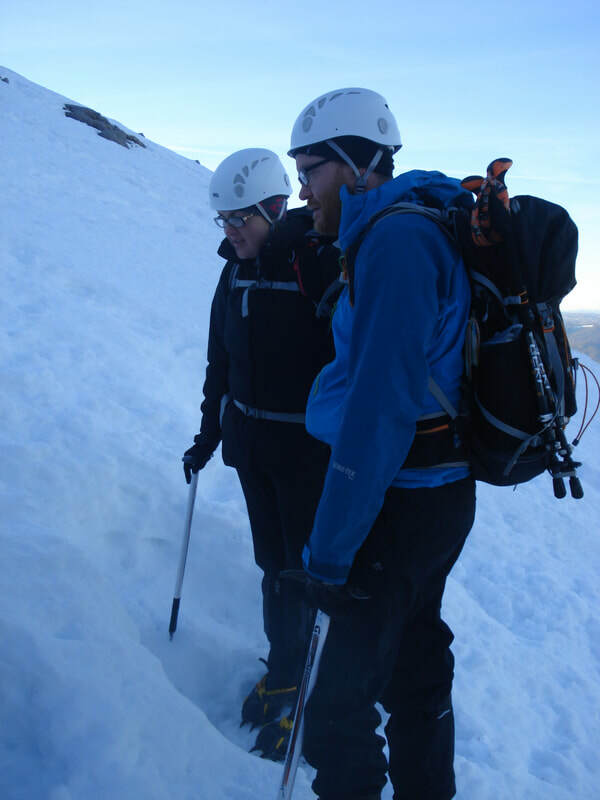 The course is 1 day non-residential in the Northern Cairngorms. In addition to your normal summer hill walking gear will require appropriate winter boots, ice-axe, crampons and helmet. These items can be hired from retailers in the Aviemore area if you do not have your own. Maximum number of participants on each course is 6. Please complete the enquiry form for more information or to request a place. ​Please note that as we are run entirely by volunteers and do not have any paid staff, that there may be a delay of a couple of days before we are able to respond. Thank you for your patience. ​© Mountain Aid 2019. All rights reserved.